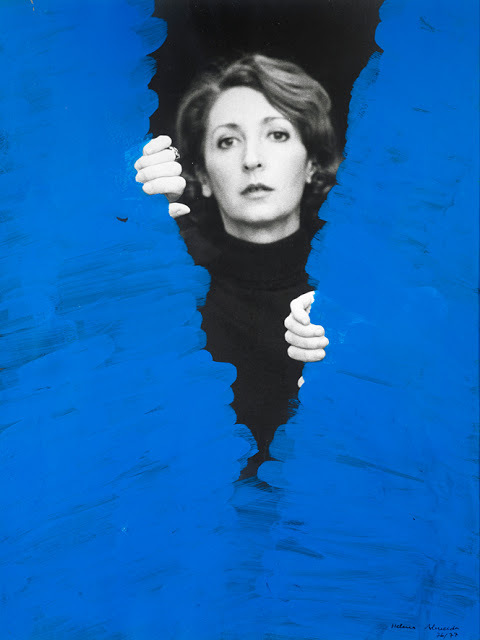 Helena Almeida, a Portuguese artist born in 1934, is a major actor in the international contemporary art scene since the 1960’s. She was present at the Venice Biennale in 2005 with the exhibition Intus, and her work has been exhibited all over the world. A.R.M. visited her first French retrospective at Jeu de Paume, Corpus, curated by João Ribas and Marta Moreira de Almeida, in which a substantial body of work is presented. The exhibition has a very coherent line: the body (Corpus) is analyzed, explored, and questions put forth, still or in motion, always the center of all attentions. One body: Helena Almeida’s, is used as a support of all projections, suggesting a very personal path, never drowning is egotism. 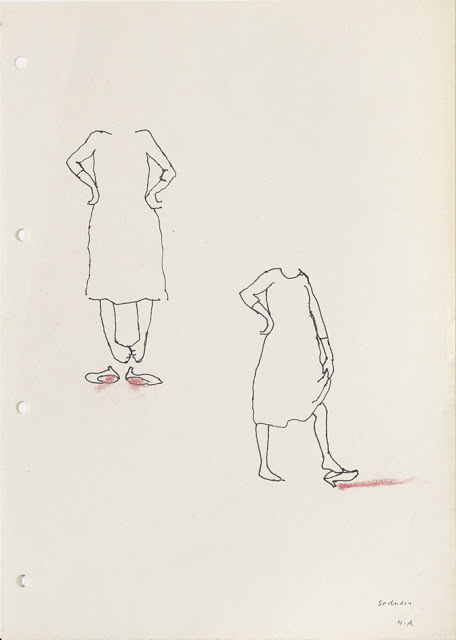 Many are self-portraits but she’s barely there, rarely shows a face (Seduzir), she in fact embodies a body – a complex mise en abîme that still remains very accessible in the proposition / equation. The medium has a particular importance for Helena Almeida. As it is shown in Corpus: the artist is breaking down the painting in its traditional shape (Tela Habitada series), she is her own subject, photographing herself while painting on the photograph, adding threads, never using a medium as commonly intended (Pintura Habitada series). But maybe the most striking feature of the retrospective is that, from room to room, we see the ageing of a body, achieving a certain maturity year in year out, going from chef d’oeuvre to chef d’oeuvre, and never in contradiction with her younger self. As we walk around the space we understand the Corpus/body: an extensive body of work, the body presence in the image, the overlapping of a body in action, the gesture over the image and the physical body subject to the passage of time. The exhibition can be seen at the Jeu de Paume, in Paris until the 22nd of May 2016. Helena Almeida, Pintura Habitada, 1975 Acrylic on photography, 46 x 50 cm (each). 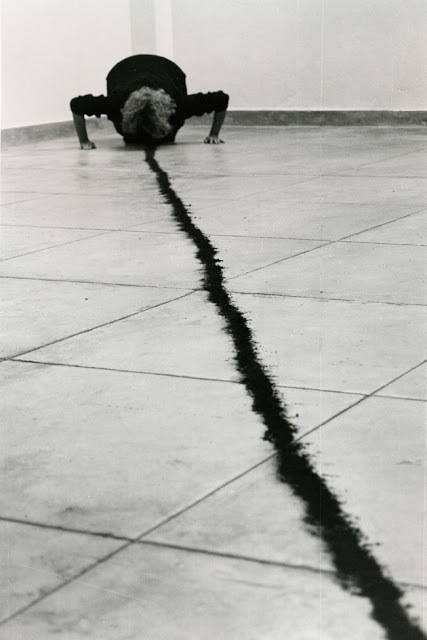 Coll.Fundação Serralves – Museu de Arte Contemporânea, Porto Photography Filipe Braga, Fundação de Serralves, Porto. Helena Almeida, Pintura Habitada, 1976 Acrylic on photography, 40 x 30 cm (each). Coll. Fernando d’Almeida. Helena Almeida, Dentro de mim, 1998, black and white photography, 185×122 cm, Coll. Fundação Luso-Americana para o Desenvolvimento, em depósito na Fundação Serralves – Museu de Arte Contemporânea, Porto. Photo : Laura Castro Caldas and Paulo Cintra, courtesy FLAD, Lisbonne. Helena Almeida, Seduzir, 2001 black and white photography (4 elements), 105 x 72 cm (each). Coll. 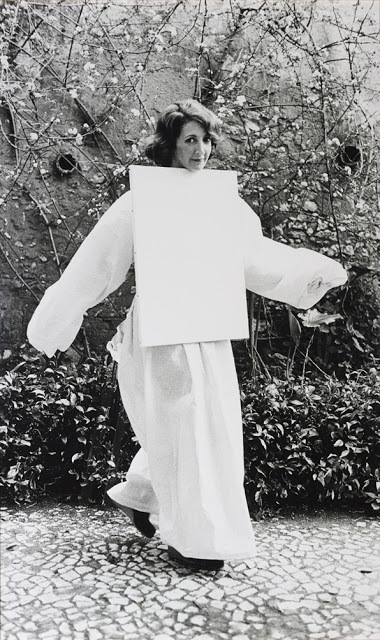 Helga de Alvear, Madrid/Cáceres Photography Filipe Braga, Fundação de Serralves, Porto. Helena Almeida, Sem título, 2010 black and white photography 125 x 135 cm. Coll. Laurent Flévet Photography Courtesy of Gallery Filomena Soares, Lisbon. 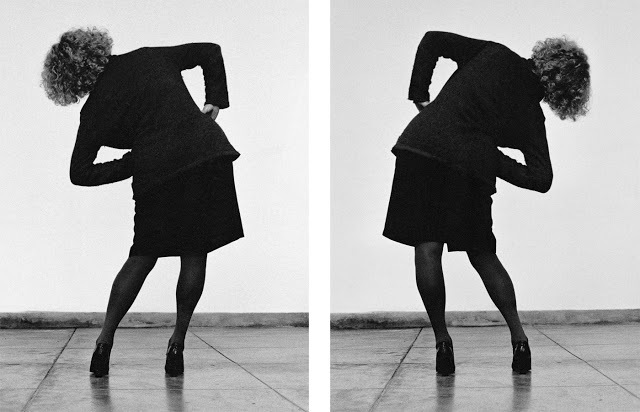 Helena Almeida, Tela Habitada, 1976 black and white photography, 205 x 128 cm. Coll. Galeria Filomena Soares, Lisbon Photography Filipe Braga, Fundação de Serralves, Porto. Helena Almeida, Seduzir, 2002 black and white photography (2 elements), 187 x 125 cm (each). Coll. Helga de Alvear, Madrid/Cáceres Photo : Laura Castro Caldas and Paulo Cintra, courtesy Gallery Helga Avelar, Madrid/Cáceres. Helena Almeida, Estudos para a série “Seduzir”, 2002 pastel on paper (29 elements), 30 x 21 cm (each). Coll. Helga de Alvear, Madrid/Cáceres. Helena Almeida, Seduzir, 2002 black and white photography, acrylic, 199 x 129,5 cm. Coll. CAM – Fundação Calouste Gulbenkian, Lisbon Photography José Manuel Costa Alves, courtesy CAM – Fundação Calouste Gulbenkian, Lisbon.